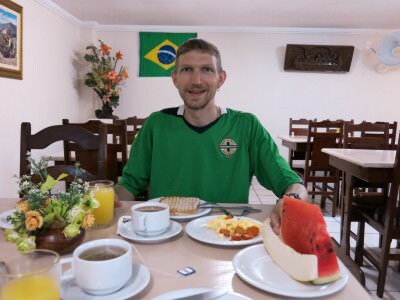 Backpacking in Belem – Staying at the Hotel Unidos in Belem. 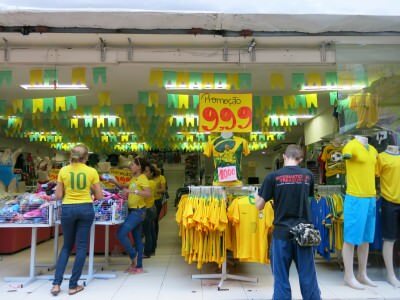 You’ll probably remember that I was in Brazil for the World Cup in 2014. I stayed in some great hostels and hotels but also some bad ones! 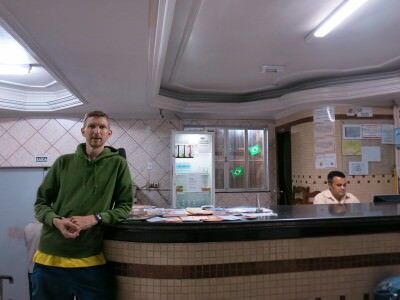 I loved the Hotel Mais in Macapa and the Hostel Green House in Iguazu, but not the Hotel San Francisco on Rio de Janeiro. Towards the end of the World Cup, after our jaunts through French Guyana, Guyana and Suriname, we ended up in the city of Belem. Ironically I had a stop over in Belem back in 2011 but never left the airport. Now we were backpacking in Belem and needed a place to stay. We only looked at 5 things and this is why we chose the Hotel Unidos. After watching the Argentina v. Belgium match in our room, we wanted to head out and explore the city on foot. The Hotel Unidos isn’t perfect but it’s close enough for a leisurely dander through the markets and down to the harbour. Brazil has its dodgy moments and Belem is no different. 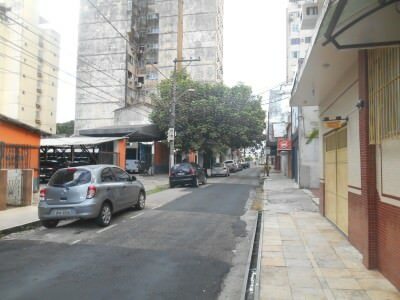 We needed to be in a safe area, and we felt that the Hotel Unidos was on a quiet street near the city centre and not by a dodgy favela. 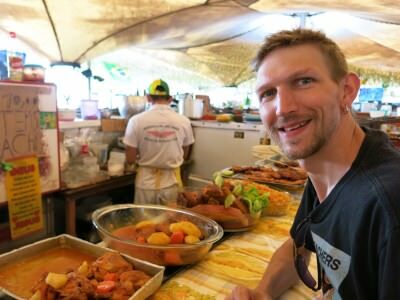 We were off a flight from Suriname and had been up all night – we were hungry. 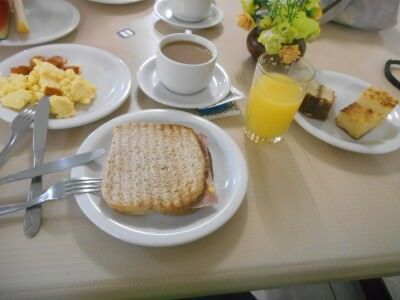 The breakfast here had a huge variety and yes we also took a load extra and used it for lunch! It was essential for me to book my upcoming adventures and get some writing done so we needed in room wifi. Result! We were tired and Argentina v. Belgium was about to start. 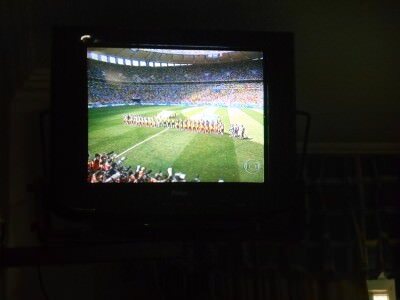 I wanted to watch it from the comfort of our room for a change. We asked for a room with a TV. Sorted! Watching the World Cup in our room. 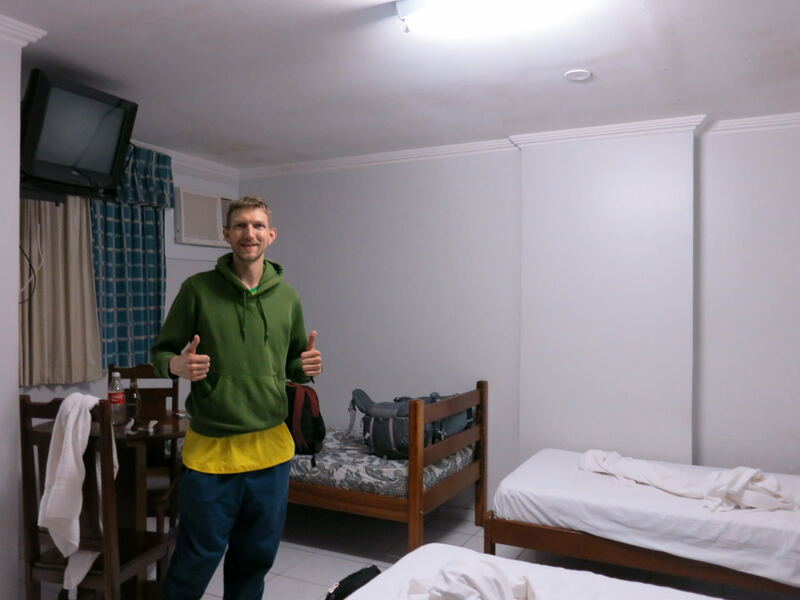 Here are the details for booking the Hotel Unidos when in Belem – there is also a backpacker’s hostel around but it was the World Cup and they were full plus it was nice to have a double room for the night! 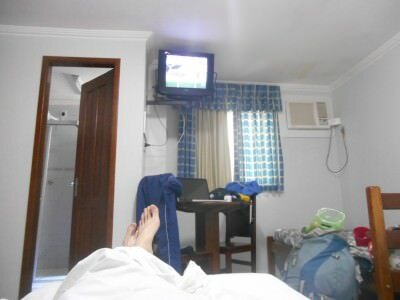 This entry was posted in Accommodation, Belem, Brazil, Hotels, South America. Bookmark the permalink. Nice! I visited Belem on the way to Suriname too! The flight to Suriname ended up getting canceled, so I had a couple unexpected days in Belem. Cool town. Did you go to the Docas?